I spent a weekend in October in Atlanta in a sea of pink. I was working on the crew at the Atlanta Susan G Komen 3 day For The Cure. I worked on the crew which means I was one of the 425 who supported 2400 walkers in walking 60 miles in 3 days to raise money to find an cure for breast cancer. I carry the BRCA 1 gene mutation. 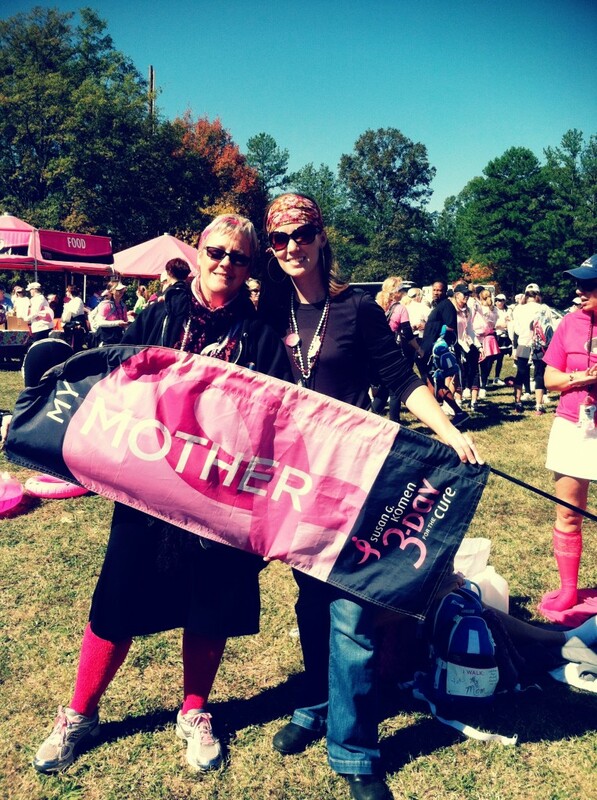 My mother is a breast cancer survivor and carries the BRCA 1 gene mutation. My grandmother was a double breast cancer survivor. My aunt died of complications from her breast cancer therapy. It is an event that means a great deal to me and my entire family. It was an amazing event and I’m so grateful that I was able to participate. I have already signed up to be on the crew in Atlanta in 2012 along with my mother, her best friend, my brother,his wife, my sister, her fiance, my best friend and a friend I made at the 2011 3day. I plan on walking my first event in 2013 with my husband. The 2011 Atlanta 3day event raised 6.5 million dollars for breast cancer research. I stood in awe at the closing ceremony looking around at all the other people who had worked/walked that weekend to support something that affects me so deeply. Several of you donated to support my efforts. For that I am beyond grateful. I’d love your support for 2012! Will you help me reach my goal of $500?